The RPM-6600 is a versatile combination of a 6-in-2 mixer and a 2-in-6 splitter, while it also provides a handy way of adjusting levels or impedances by acting as a buffered level translator from -10 dBV to +4 dBu or vice versa. It offers 6 identical input/output sections with level control, panpot/balance control and 8-LED level meter each. Every section can be configured with a switch to either work as an input for a mix available at the master output, or as a splitter output from a master signal fed to the master input. In a mixer application, the main input section can be used as two additional inputs which makes the unit effectively sporting up to 8 inputs in mixer configuration. 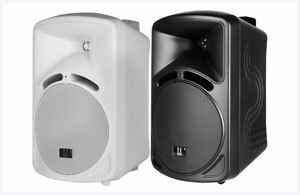 The versatility of this unit spans applications from sub-mixing of keyboards in a stage sound system to zone signal splitting in commercial sound systems. The broad range of applications also makes the RPM-6600 a useful problem solver in the vaults of any rental company.